Today it’s my privilege to welcome Five Minute Friday Community Member Mandy Hughes, with a guest post on her blogging journey, and how and why she switched to a self-hosted website. “You want to start a blog? But you know nothing about blogging,” said my very sweet (and very honest) husband when I informed him that I’d decided to step out of my comfort zone and take the plunge into online publishing. I’ve always had a passion for writing but kept it to myself for fear of what others might think. That all changed when my first piece, a poem, was selected for publishing. With this boost of confidence, I decided to take a crack at writing a fiction novel. Everything I read about the publishing world mentioned having a solid platform and stressed the importance of blogging. Though my husband did make a good point: I knew nothing about how to start a blog. So I did as one with no knowledge of something might do—I asked Google. Blown away from all the results the search engine kicked out, I knew making the decision of which host to use would take time. After some serious researching, comparing, and contemplating I landed with WordPress and the real adventure began. I had a dashboard that featured words and short terms I’d never heard before like plugins, CSS, HTML, RSS, RSS links, and what the heck is a widget? It took a lot of coffee and a whole lot of grace to get me through the first few days of setting up my blog, but I was finally ready to write. I sat tall and straight, placed fingers to keys, and waited for the inspiration to come. And I waited. Nothing. I had nothing. Oh, the frustration! Digging deep, I wrote a poem, and with tremors of fear and excitement, sent it out into the cyber world, anxiously awaiting my first response. But I received none. I knew to get noticed you had to notice others, and I tried, really I tried, but nothing was happening. In my solitude, I began to think the blogging world just wasn’t meant for me. I took some time off from writing in general to do some much-needed soul-searching. After months of praying and listening to God, I sat at my computer and wrote the first piece for what would be known as The Humble Sheep blog. I shared it on Facebook and was overwhelmed by the positive feedback. Friends were telling me to keep going, and I honestly felt God was too. I recently moved my hosted website to a self-hosted website. After seeing some peers make the switch, I decided to do a little research and found that a self-hosted site offers greater access for customizing the functions and style of your blog. My passion is to share the good news of the gospel with as many people as possible. My website helps me do just that, and I want it to look and function in the best possible way. To start the process of making the switch, I did my homework first. I read several online articles that were extremely helpful in taking into account all the pros and cons, even the cost factor of migrating to a self-hosted website. Then I searched for a self-hosted provider recommended for WordPress users. I had the new site up before too long. Now it was time to move or migrate my previous blog to the self-hosted site. Once again, I searched the web for the best methods and found the step-by-step format provided by Mojo Marketplace to be the easiest to use. With a few simple clicks, the new self-hosted website was up and running. Though a little frightful at first, the overall experience has been quite gratifying without much difficulty. I recommend dedicating the time to research beforehand if you are considering a self-hosted website. It should help the process go smoothly and be less stressful so you can enjoy this new and exciting endeavor. Thanks so much for sharing, Mandy! Find Mandy Hughes at her website, on Twitter, on Facebook, and on Instagram. And if you’re interested in learning more about the benefits of a self-hosted website and how the process works, I can highly recommend the team at Fistbump Media for all of your website needs. I’ve been hosted by Fistbump Media since 2014, and their team designed this site. Excellent, personal service, and a genuine heart for seeing bloggers and writers impact the world with their stories and gifts. Visit Fistbump Media to take the next step! Affiliate links have been used in this post. 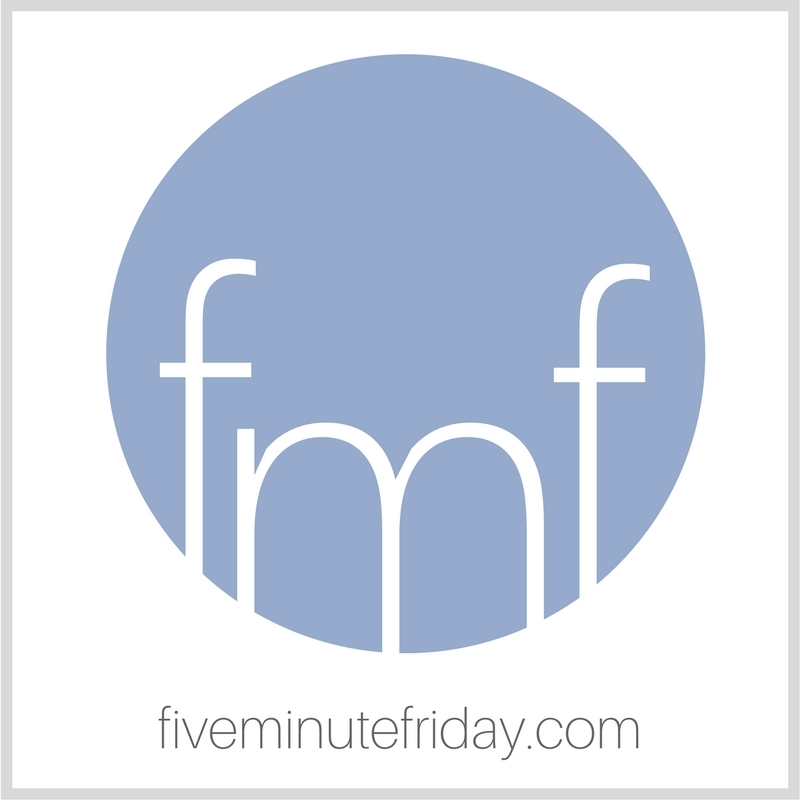 By clicking through this site to use the products we recommend, you’re supporting the ministry and maintenance of Five Minute Friday. Thank you in advance! I switched to WordPress Self-hosted in 2012 and never looked back. I had blogged on WordPress since 2008 but the leap of faith into the self-hosted era certainly has helped. Since I hold the job and insurance for my family, there’s not much money left over to spend on websites and domain names and such unless I can figure out how to make it pay for itself. So, I’m wondering if blog sites actually pay for themselves through advertising or if this is truly an expensive hobby. Please don’t be offended by my questions. I’m truly seeking answers. My passion is to write and get the message of eyes on Jesus and journeying with Him out to the world. Again, I recognize my own lack of leap of faith in writing this comment. Any input at all is appreciated. By the way – thank you for writing this post, Mandy, and thank you, Kate, for making it available in a guest post!! Mandy, this is so good – I love your heart and passion for blogging. I, too, write for HIM!